Welcome to âThe Meridianâ. 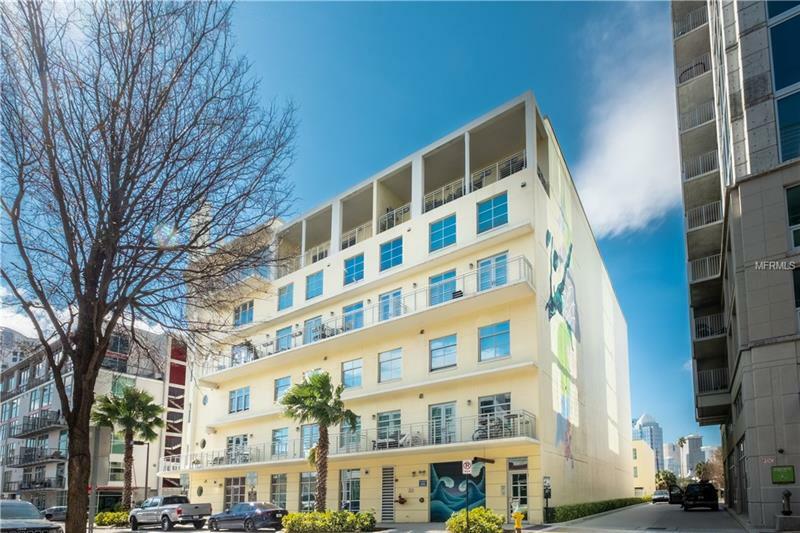 This art deco boutique building is an architectural masterpiece nestled in the heart of Channelside. The Meridian Lofts were built in 2005 with style, high-end finishes and plenty of amenities. Check out the breathtaking city & canal views from your private wrap-around terrace. The terrace is one of the largest of its kind in channel side, enough space for modern lounge furniture, a dining room table and a grill. This stylish loft boasts an open floor plan, gourmet chef-style kitchen with granite counter tops. The building has a beautifully crafted art deco design with intricate wood details, exposed concrete walls and fabulous terrazzo floors. You will feel like you are living in a hotel with the roof top heated pool and spa overlooking downtown and resort style cabanas. The loft has an open concept living space that fills with sunlight throughout the day. Enjoy urban living at its finest, take the free downtown shuttle, street cars, or walk to art festivals, farmers markets and museums.